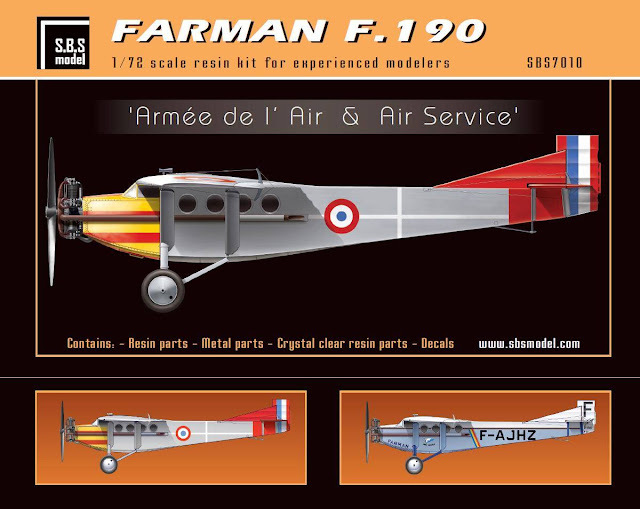 1_72_aircraft_news 1/72 1/72 kits F.190 Farman incoming SBS .:SBS:. 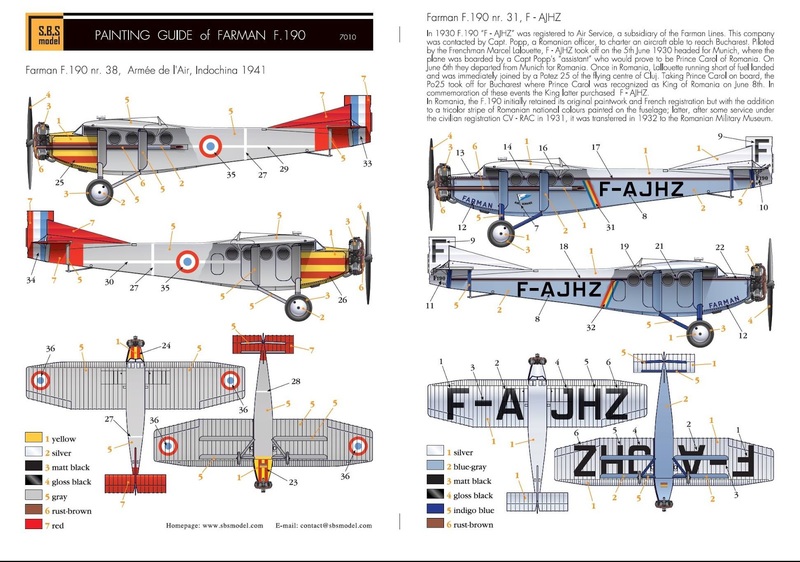 Farman F.190 "Armée de l´Air & Air Service"
.:SBS:. Farman F.190 "Armée de l´Air & Air Service"
New boxing with new parts. Farman. F.190 from hungarian SBS /mentioned on this blog <<here>> and with the inbox got small update to... new boxing.